The best — perhaps only — reason I’d like to see more Pagans create Wikipedia accounts is so they can keep an eye on articles of interest to the Pagan community. The process is literally called watching articles, and it’s done using the watchlist. Simple enough? Once you log in to your account, this is your Wikipedia watchlist. It’s a running log of every change recently made to articles you’re interested in, or watching. Let’s discuss why watching articles is a good thing, then dig into the mechanics of doing it. But all that info needs to be organized, and the way changes are listed is from newest to oldest. Visit the recent changes on the left-hand side of the page and you’ll see the very newest changes to articles on the site. Click the history link for the article on Theodish politician Dan Halloran and you’ll see the most recent changes for that article only. Your watchlist shows the most recent changes for whichever articles you’ve decided to follow closely. You’ve curated your own selection of articles, choosing those over which you would like to exercise some stewardship. The watchlist makes it easier for you to notice changes to those articles, and to follow discussions editors have about them. So how do you watch an article? There are two ways. Automatically watch every page you edit. This is done in the preferences, which can also be found at the top of any page. Any article can be removed from the watchlist by clicking “unwatch” at the top of the article’s page. It’s easy to create an account on Wikipedia, but why should you bother? They don’t require registration to read or edit the online encyclopedia, so is there any good reason to bother? It is true that the site is free to use, both as a reader and as an editor, but many of the handier features are not available without an account, and there are some significant restrictions imposed on completely anonymous users. These are valuable for members of a minority community such as Paganism. 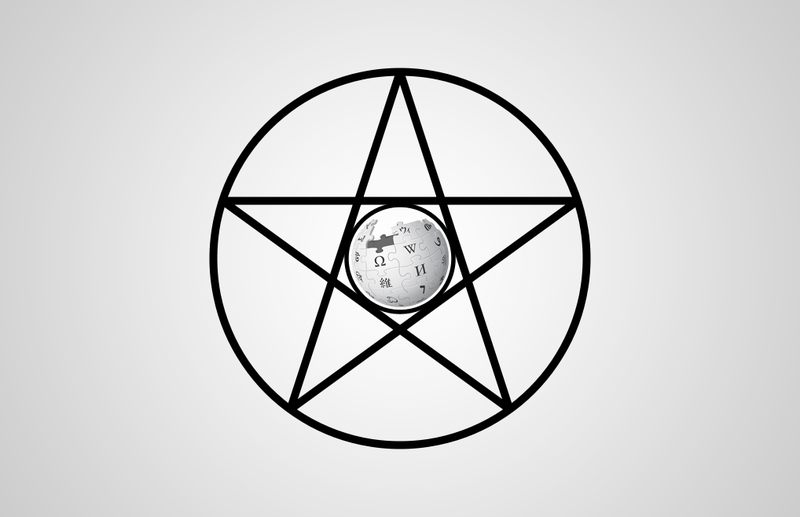 Just because a particularly well-known Pagan is notable (a term that I will discuss in depth in a later post) doesn’t mean that they will have an article on Wikipedia (or that it’s accurate); chances are, a Pagan Wikipedian is going to have to create it. And any article on a Pagan topic could be better illustrated by the picture — perhaps you took one at a festival that will do the trick, and would like to upload it. Moving articles (renaming them) is restricted because it can be abused, but having that ability allows you the fully participate in, say, the ongoing debate about what to call Germanic neopaganism? It’s likely that Pagans know more about Pagan topics than most non-Pagans do. Wikipedia is based on what reliable sources say about a subject, but individual editors all have biases in how the interpret those sources. Since these articles tend to be edited by fewer people, a small number of editors can distort the truth, so that a subject is treated with undue negativity or even positivity. More eyes on an article means more accuracy in that article. Those Pagan eyes are vital when a subject relevant to Pagans is up for deletion. Deletion discussions, and how to participate, are an advanced topic which I shall discuss in some depth, but you don’t get a say if you don’t have an account. The watchlist is perhaps the single most important reason to create an account. You can watch any page on Wikipedia, and the watchlist provides you a list of the most recent changes made to those pages. This is a powerful tool, because it helps undo vandalism, remove bad information, and facilitates more collaboration to improve a particular article. Many Pagan pages are watched by very few editors, and some of them might have thousands of pages on the watchlists, so picking a few articles of personal importance to watch is much needed. Think of it as a stewardship role, not an ownership one: editors who act like they “own” an article are in for a fall, while good stewards are happy to work with other constructive editors who wish to follow the sources. Why don’t you create an account today? You don’t even need to provide so much as an email address to do so (but don’t forget your password if you don’t provide one or it’s gone forever). It’s a quick, small step towards making a more powerful Pagan presence on Wikipedia. The place to experiment with editing Wikipedia is called the sandbox. It’s aptly named, because the letters you write in this sand will get written over by other users; periodically, like a big wave, a program script comes along and wipes the whole thing clean. It’s also a good place to start because it’s a reminder that change is a constant in Wikipedia; both the software and the rules create by the human editors are always evolving, and if you don’t visit the site very often, both can seem alien in short order. Visit the Wikipedia sandbox, and click on the blue link that says “edit” to begin. When you’re done, click the “save page” button down at the bottom, and whatever you’ve typed will forever become a part of Wikipedia. Well . . . yes and no. As noted above, other users may come along and remove/change/append to your work, and on this page in particular, all the text gets removed automatically from time to time. However, nothing is ever really lost on the internet, and on Wikipedia, this is particularly easy to see: just click on the link marked view history to see just about everything ever done to this page since it was created in December, 2002. The sandbox may become one of your most familiar haunts as you learn about editing Wikipedia, because it’s a safe way to experiment with using the ever-changing MediaWiki software that powers the site. The lesson of the sandbox is that no edit cannot be undone, but a history of all of those edits is kept forever like a Domesday Book.